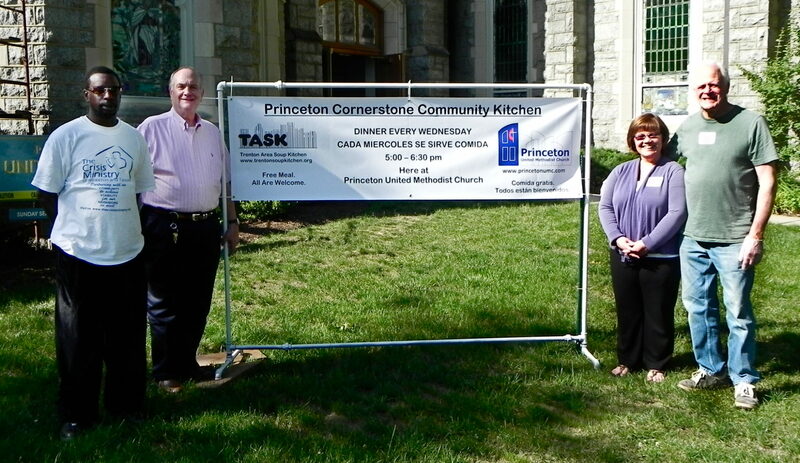 The Princeton Cornerstone Community Kitchen opened its doors on June 6th for the first time. TASK Executive Director Dennis Micai was on hand, as well as Howard Roundtree of TASK and the Crisis Ministry who will deliver the food. Round tables, great for conversation, were set with tablecloths and flowers. 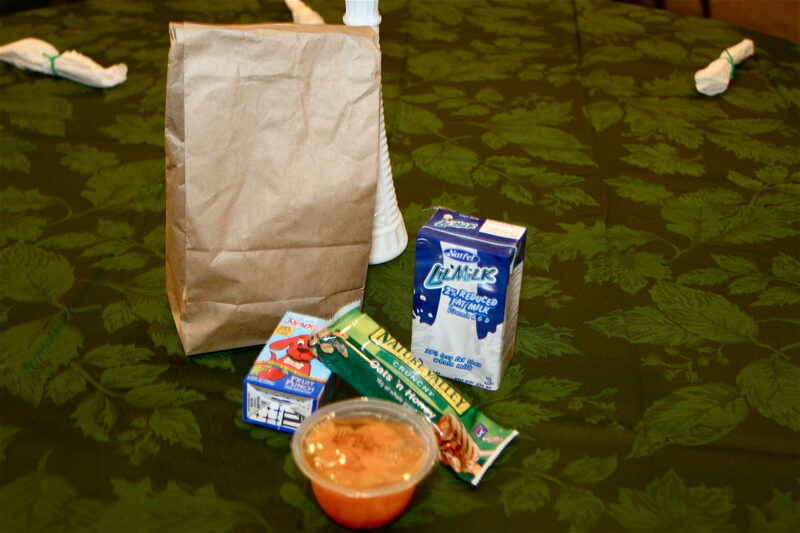 46 guests were served a nutritious meal, and kids were given a bag of breakfast treats for the next morning’s meal. The servers were very friendly. 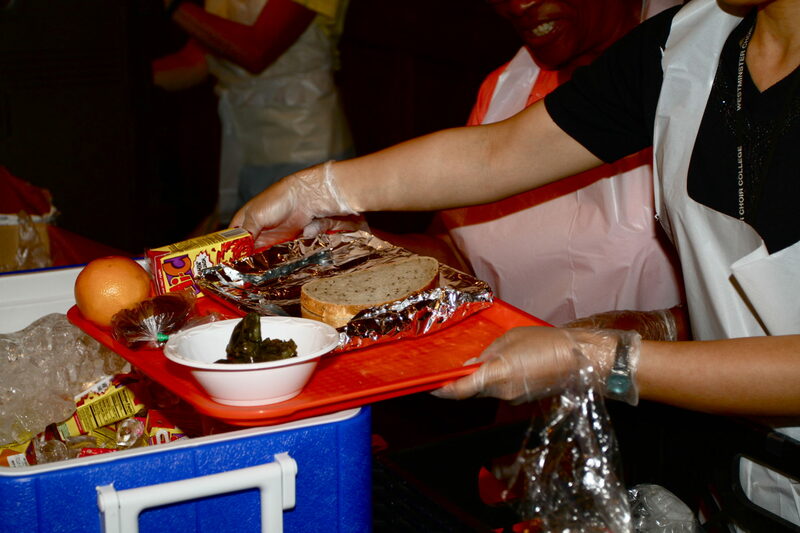 People were seated, and the meals were given with a smile, and a bit of conversation. After they left, servers quickly cleaned and set-up for the next diners. The group I sat with kept me intrigued and entertained the entire meal. It was nice to meet so many people who had interesting stories to share. When families dine together, kids do better physically, socially and academically. When singles and seniors dine with others, it gives them the opportunity to eat a more balanced meal and have stimulating conversation. Overall, it’s a win-win situation for everyone who comes. And best of all, it’s absolutely FREE! I encourage you to join us for dinner on Wednesdays 5-6:30 PM, and please spread the word. This entry was posted in Cornerstone Community Kitchen and tagged Community Dinner, Free Dinner, Princeton Cornerstone Community Kitchen, TASK. Bookmark the permalink.